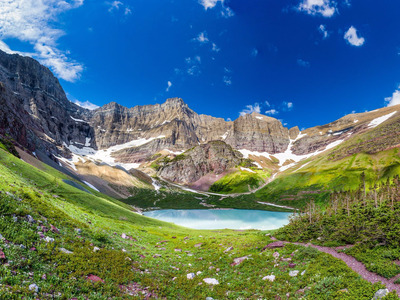 © Kan Khampanya / 500pxThe view at Cracker Lake campground in Glacier National Park. And if you’re short on time, they also included information on how to cover each park in just one day. See the tallest trees on earth in California’s Redwood National Park or choose from 700 miles of hikeable trails in Montana’s Glacier National Park. Not a hiker? You can ride a mule down the Grand Canyon in Arizona. If you venture out to Katmai National Park in Alaska, you’ll probably run into a brown bear.